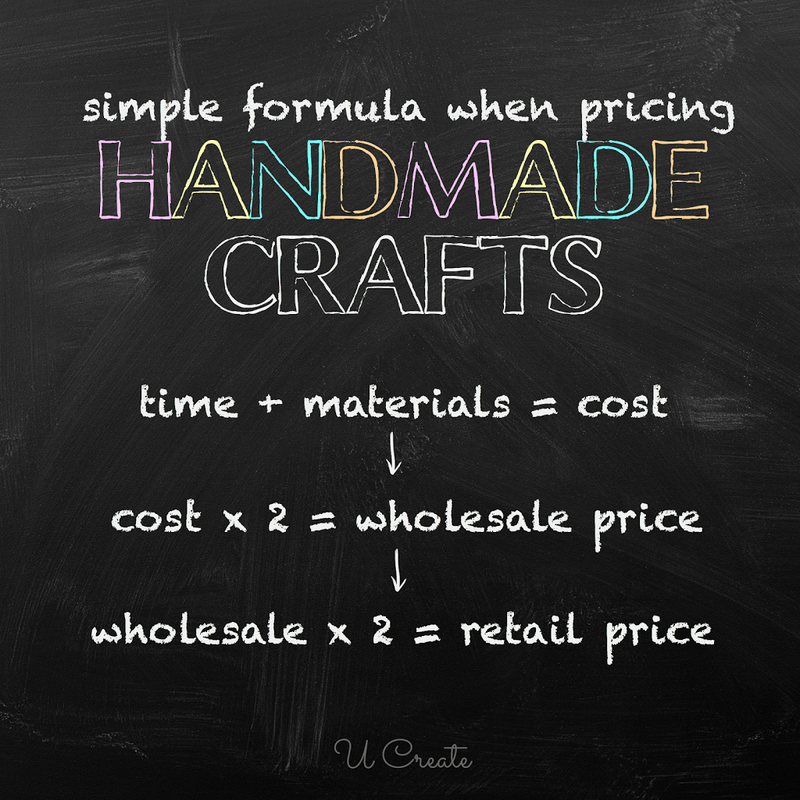 I’ve had many people ask me how much they should charge for their craft items in their boutiques, Etsy shops, etc. When I was selling pre-made scrapbook layouts way back when I had a good friend give me a chart that looked similar to this. Now this might not be necessary when selling every craft project you create, but it’s the overall standard. I hope this is helpful to you!! Kati, there can definitely be exceptions … this is just the standard and the most common out there. Find helpful tips on this topic at our Facebook page too. Thanks for this post, awesome info..